AFTER KAMAL HAASAN'S TITLE, IT IS RAJINI'S TITLE NOW FOR THIS STAR! Sibiraj, whose last film was Kattappava Kaanom, has films like Sathya, untitled film with Thegidi fame Ramesh and a film with Nikhila Vimal. 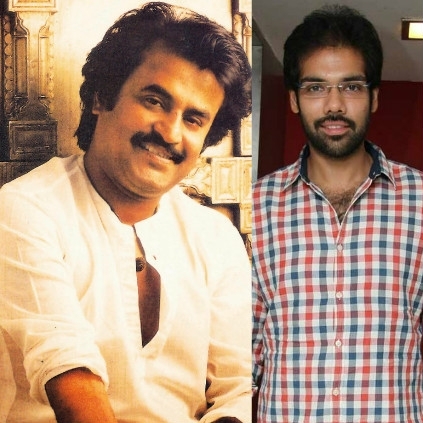 Close sources tell us that Sibi's film with Nikhila Vimal has been titled as Ranga, a popular Rajinikanth film's title. Nikhila Vimal is playing an animator in the film, and the first schedule of the movie was shot in Kashmir. Directed by debutant Vinod, Ranga is funded by Vijay K Celliah for Boss Movies. It should be noted that Sibi's another film, directed by Pradeep Krishnamoorthy, is titled as Sathya, a Kamal Haasan film's title and now it is Rajini's title! An astonishing feat by Kabali! Amazing fact: Except for these 2 years, Vijay has done it on all other associations! Next big move to stop Tamilrockers! Will Rajinikanth Sport A Beard For His Next Film With Ranjith? People looking for online information on Rajinikanth, Ranga, Sibiraj will find this news story useful.